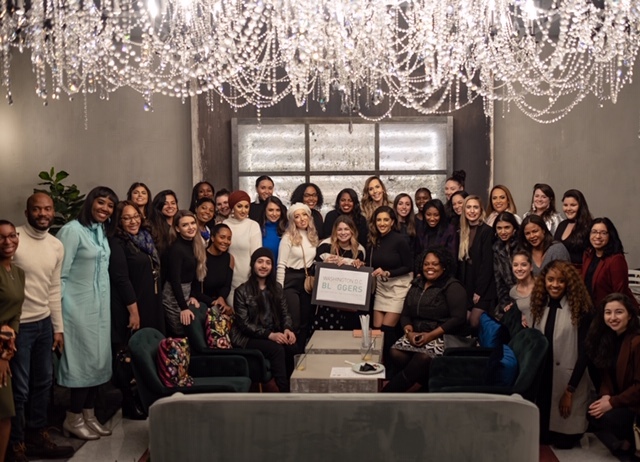 On Wednesday, January 16th 2019, Yasmine Nashed from @yasminenashed spoke at the lastest DC Blogger Union event located in the Chandelier Room at La Vie, a beautiful new restaurant located in the heart of DC at The Wharf. The atmosphere at La Vie is super fancy with beautiful views overlooking the water. This place is sure to impress any guests you bring there! 1. Make time for the priorities in your life. Think about all the free time you have in a day that you let pass you by. Most of us have way more time (30,40,50 hours per week) than we realize to work towards our goals. We all have time it’s just whether we utilize it or not. Get a planner and prioritize your time! 2. Find a partner to help. Surround yourself with people who have similar goals. Get together and create content to have for the upcoming weeks. This way you a repository of pictures to post and you don’t have to scramble to get content. This will help you stay consistent. Consistency is SO important. Post as much as you can and you will grow! 3. Use apps to help you schedule posts! This will save you so much time during your week. Lastly, Yasmine informed us that it is important to not try to do it all. Pick something you can stick to and hold yourself accountable. Thank you Yasmine and La Vie for hosting the January DC Blogger Union members and Raymond Javier for capturing this great event!